I didn’t expect to see the grown up version of Wendy again so soon! Continue Reading "FAIRY TAIL – 146"
Continue Reading "Katekyo Hitman Reborn! 399 – This is (Not) an Illusion"
That’s all of Team Goldilocks present and accounted for, then. Continue Reading "Eureka Seven AO – 18"
Continue Reading "Kami nomi zo Shiru Sekai 200 – New Order"
Continue Reading "FAIRY TAIL 297 – The Face of the Girl I Saw"
Now what do we have here? Rabu Rabu Talk? This is one episode that’s sure to placate you shippers who haven’t gotten much love from Dog Days’. Continue Reading "DOG DAYS’ – 08"
As boring or slow as it seems, I actually appreciate the individual character developments and screen time that they dedicate to each person. My only complaint would be to know when to stop and how much is enough. Continue Reading "Kokoro Connect – 08"
Shirokuma Cafe: portraying a different kind of Harem since 2012. Continue Reading "Shirokuma Café – 22"
Continue Reading "Accel World – 20"
A freaky four-way debate gives way to new information on the coming apocalypse, and some fresh resolve from Tenzou. Also, poor Asama! Continue Reading "Kyoukai Senjou no Horizon II – 08"
Let the true drama commence. Let the guessing games begin. 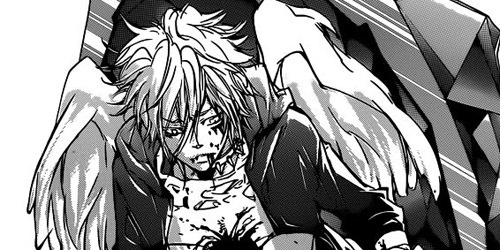 Continue Reading "Oda Nobuna no Yabou – 07, 08"
The one thing about Campione! that irks me the most is that it truly has some great ideas, but its execution can never match up to the potential. Continue Reading "Campione! 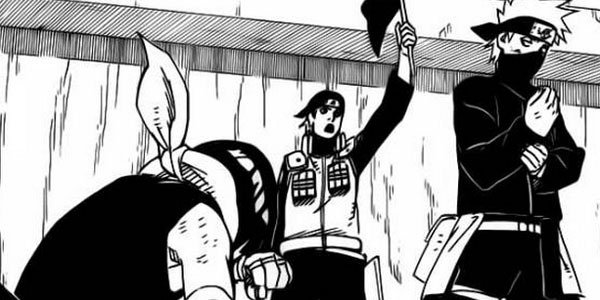 – 07, 08"
Continue Reading "Bleach 505 – The Fire"
Continue Reading "Naruto 599 – Blast from the Past"